Amiga OS celebrating 30 years 2015. The Amiga OS Workbench 1.0 from 1985, it´s a piece of computing history. 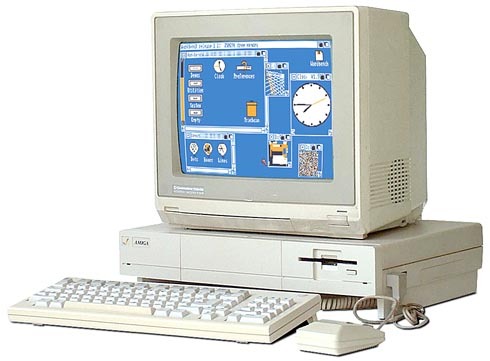 In 1985 Commodore introduced the Amiga 1000 with Amiga Workbench Version 1.0. Amiga Workbench loosely mimics the Macintosh finder introduced the year before. Workbench, together with its OS component Kickstart, would later be renamed to ”AmigaOS”. In the YouTube video included here we can se a Amiga 1000 booting up the classic Amiga operating system. The iconic blue on orange, the windows and, for the time being, the amazing media performance. The display was highly customizable for the era. The user was free to create and modify system and user icons, while Atari TOS featured only default system icons whose appearance could not be modified and customizing icons on the Macintosh required using ResEdit. Icons can be of arbitrary size and design and can have two image states to produce a pseudo-animated effect when selected. Users could customize four display colors and choose from two resolutions: 640×200 or 640×400 (interlaced) on NTSC, or 640×256 or 640×512 on PAL systems. In later revisions, the TV or monitor overscan could be adjusted. 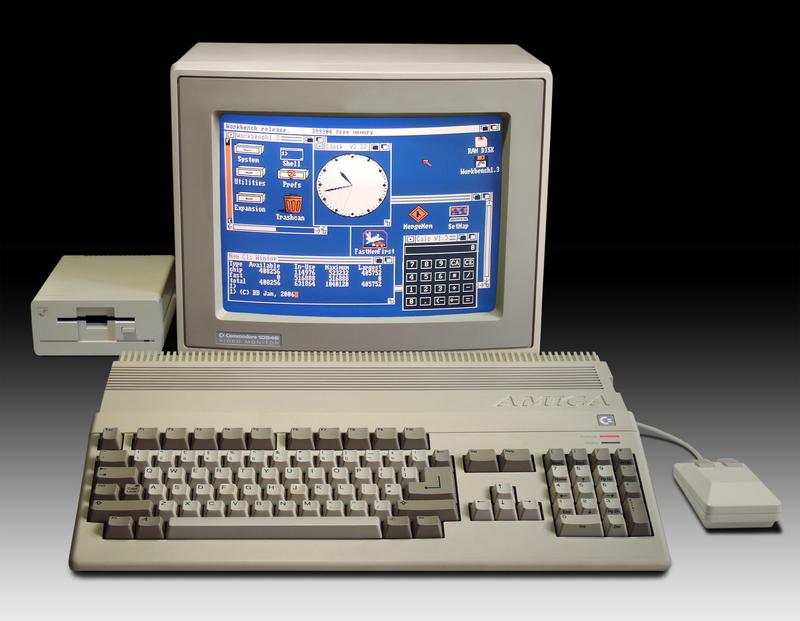 The Commodore Amiga A5oo with a Commodore A1084 monitor, a A1010 diskdrive and the iconic Workbench. Several features were deprecated in later versions. For example, the gauge meter showing the free space on a file system was replaced with a percentage in Workbench 2.0. Under Workbench 1.x, right clicking on icons opens a display of the files metadata, whereas from Workbench 2.0 right clicking activates pull-down menus only. The default ”busy” pointer (a comic balloon showing ”Zzz…”) was replaced with a stopwatch in later versions. The Amiga Workbench 1.0 from 1985.